I have always tried to live my life with integrity. I haven’t always succeeded, and I know that I’ve caused hurt along the way. But, I take full responsibility for my actions and will always acknowledge my faults. But when it comes to this space, in a public and very accessible domain, I’ve made sure to be as open and honest as I can be. I’ve followed the rules, blogged ethically and made mention of gifts I’ve received and payments that have been made. I’ve entered competitions ‘for the heck of it’ because I enjoy the challenge. And then kept silent as my recipes are copied, ideas are replicated and rules are broken. And each time, the winner has been someone who has not played fair. And even though they might pat themselves on their backs and relish in the joy of winning, can they honestly live with themselves knowing they have cheated? When Debs Ayub arranged for Sense of Taste to be sent to me I knew I could not replicate a recipe without the permission from the publisher. This was sought and received and I’m grateful for the opportunity to share with you a winning recipe from Chef Peter Ayub. Place the mince, breadcrumbs, garlic, fennel seeds, orange zest, thyme, and parsley into a large bowl. Disclosure: I was sent the book to review by Debs Ayub and this recipe formed part of the review and is published with permission. This post is in line with my blogging policy. I saw a fascinating doco the other day about the guy behind Cabbage Patch Dolls who who had completely ripped off an artist. No only what he did was ethically wrong but of course, he went on to make millions and they were paupers. 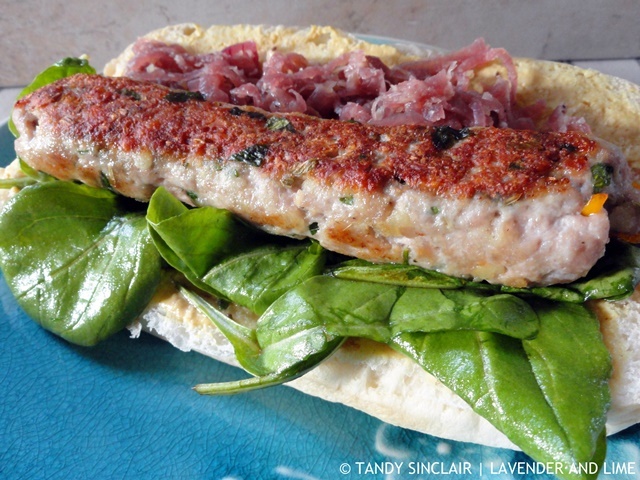 As to Pork and Fennel Sausages – a classic and a favourite. Thanks for sharing! I am so excited to make these Tandy – sausages without any casing, what a great idea!!! What a great idea! I’ve never tried making my own sausage. Bookmarked. I am such a pork sausage fan, but I don’t think I’ve had it like this. I must give this a chance… maybe over the weekend. We all make mistakes in life, but you are doing a great job with blogging, in my opinion! 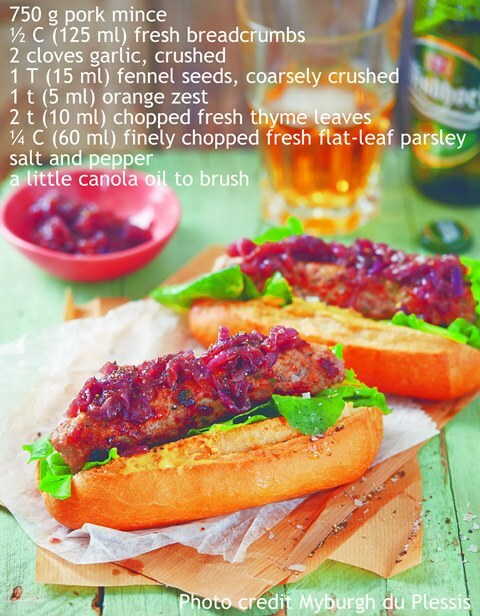 Delightful recipe, Tandy, I love fennel in a sausage, it adds extra flavour and helps digesting the heavier ingredients. We have a butcher from Sicily in Basel and his salsiccie with finocchio and chilis are legendary! Thank you for addressing the issue of copying recipes and not playing by the rules in blogosphere, it is disgusting and a mirror of today’s society. Thank you for sharing this recipe with us. These photos are making me hungry. Oh, do love a good sausage and these look exceptional – thanks Tandy. Good for you for playing by the rules, lots of truths in there. And love the idea of making ones own sausage, looks amazing. Wow. This looks so flavorful and delicious!! The fennel/pork combo sounds amazing. Oh how I love the fennel and orange zest in here. I have to copy your recipes at home Tandy, I’m such an uncreative cook =) Just hoping dinner magically appears on my table. Glad I can pick your brain for tasty ideas on this site…..but no, I will never try to pass them off as my own. That would be totally wrong. Can’t believe others can’t see that. We are not pork eaters; but I am impressed with this make your own sausage. No casing required! I’ve recently purchased a meat grinder attachment for my stand mixer. I’m going to do some experimenting with chicken sausage. Thanks for passing this along! Oh delish! I like to add a bit of crushed red pepper. I’m sorry about the issues that you’ve had with blogging and your recipes Tandy. I hope everyone is giving you the credit you deserve. I don’t think I have every made a homemade sausages before. These look great Tandy. Joleen, it is totally unfair! Tandy, The recipe looks wonderful . I am saving it for my future use. I am very sorry you have been hurt my others here while blogging. Hugs being sent. Have a good week. Tandy this is amazing. I totally said to my mom yesterday that I wanted to make snags sometime soon, and boom, you give me a stella recipe to try. Thank you!! !